This is an extreme case of mold. Most often, mold is hiding in walls or places that can be hard to see. 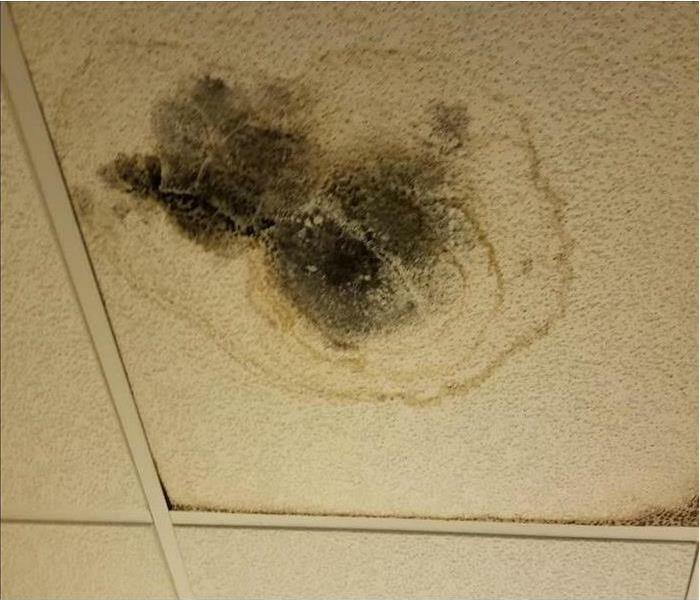 This mold was the result of a leaking pipe in the ceiling. We removed the ceiling tiles, treated for mold, and cleaned up the water from the leak. A Berkeley Heights, NJ homeowner called us after they discovered this mold hiding in their basement corner. 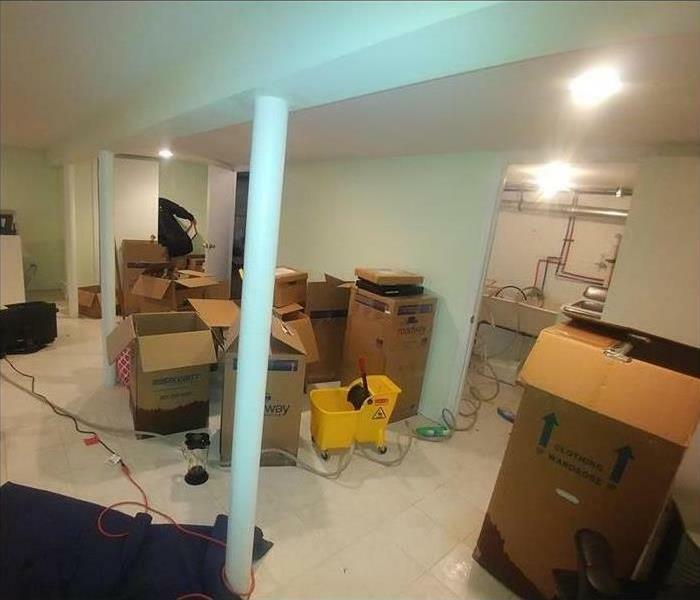 We were able to treat the mold and get their basement looking "Like it never even happened." This mold was hiding behind a wall in a basement in Fort Lee, NJ. Once we removed the wall, we were able to see the mold and remove and treat it! 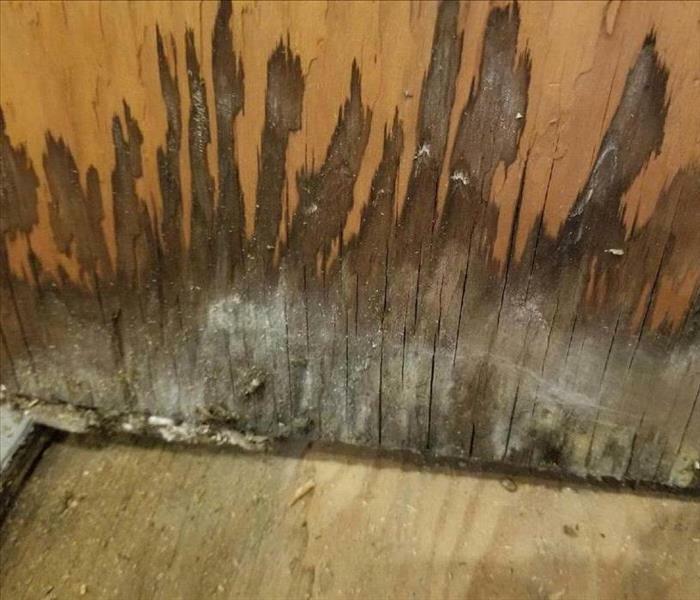 This is the mold we found on a piece of plywood in a home in Bloomsbury, NJ. 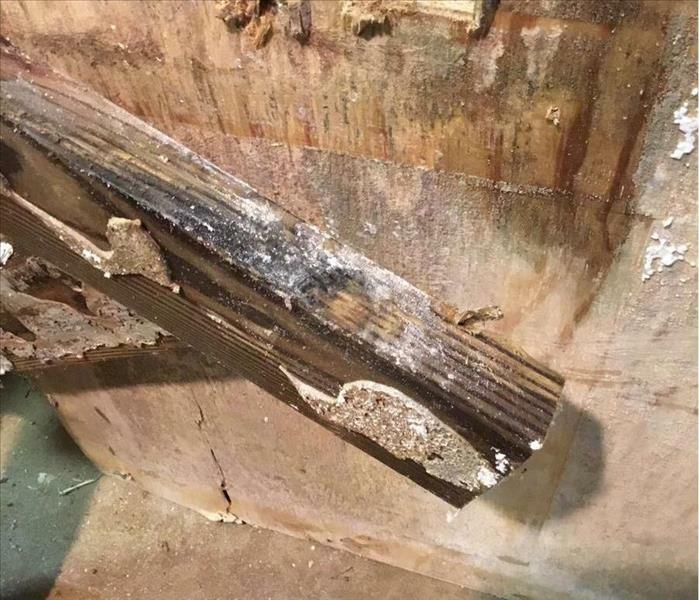 The mold was the result of a flood caused by a leaking pipe. 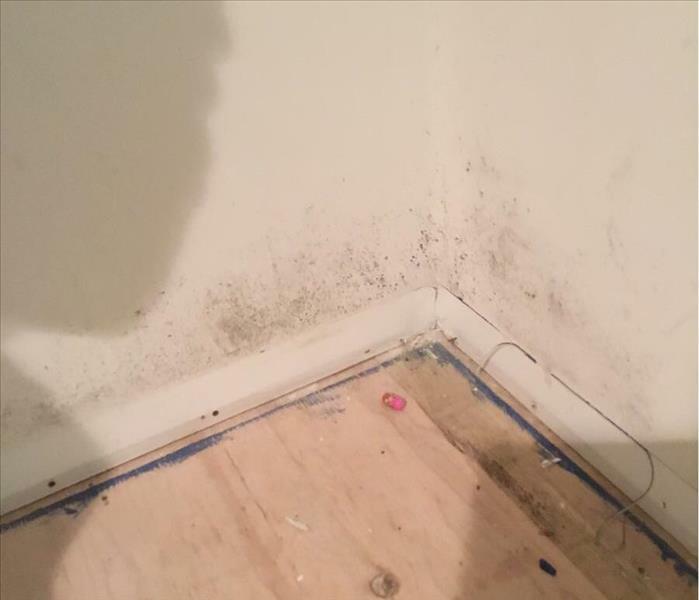 The owner was extremely pleased that we were able to take care of the water and the mold. A homeowner called us about a mold problem in their bathroom. 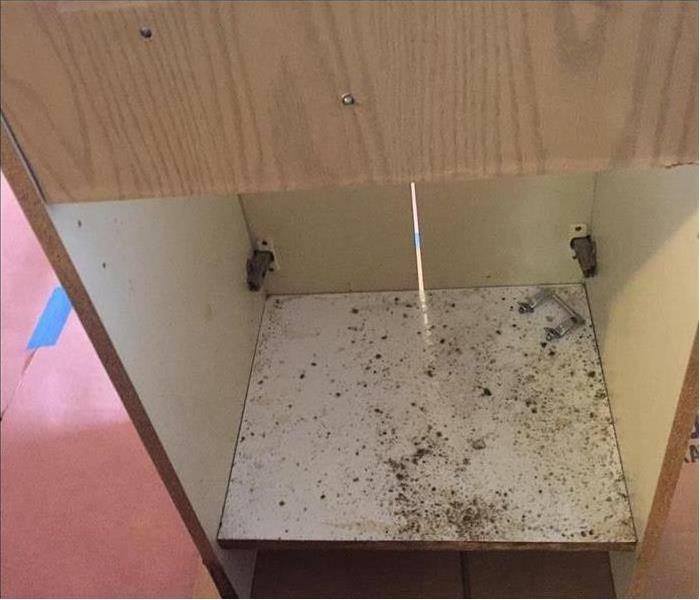 Upon arrival, we saw that one of the cabinets had mold in the bottom. 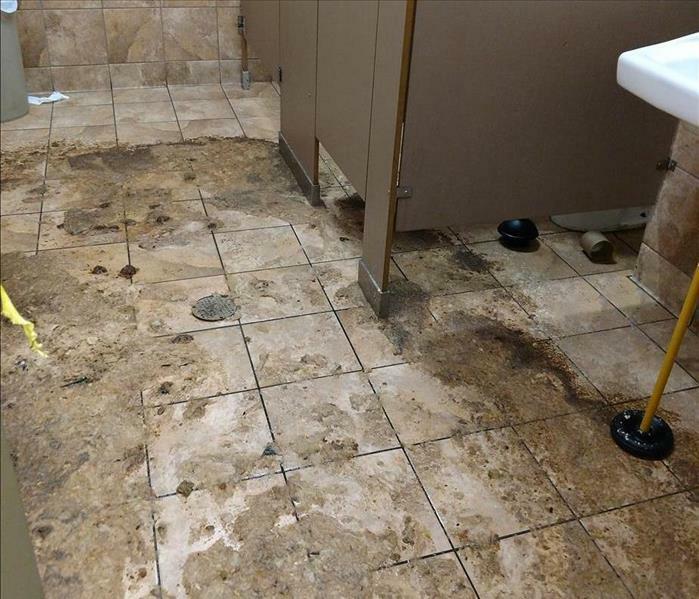 This is not uncommon due to the fact that bathrooms have a lot of moisture and increased temperature. 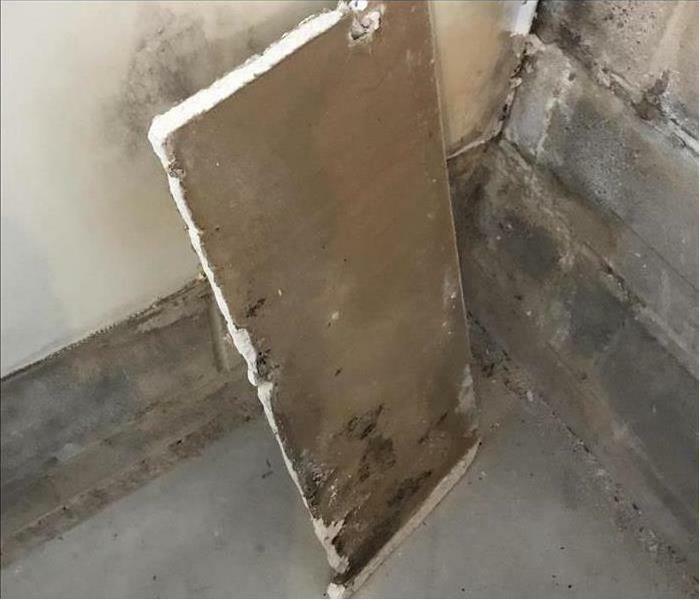 After a leaking pipe in a New York City apartment caused mold, the landlord decided to give us a call. He was extremely pleased that we were able to handle the water and the mold! 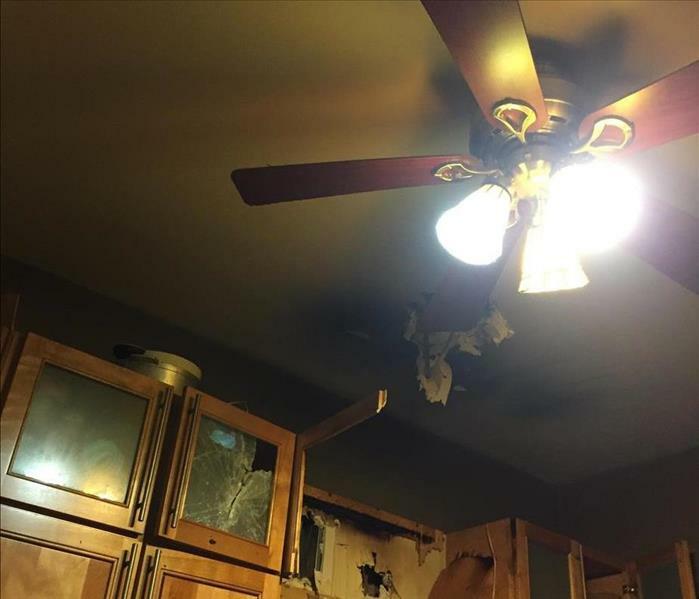 A homeowner in Leonia, NJ called us after they had a kitchen fire. 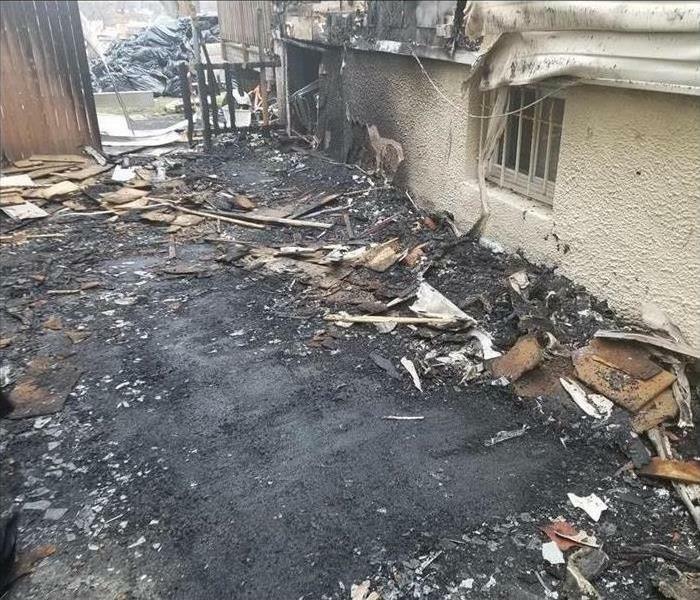 In this picture, you are able to see where the fire started and how it affected the ceiling. 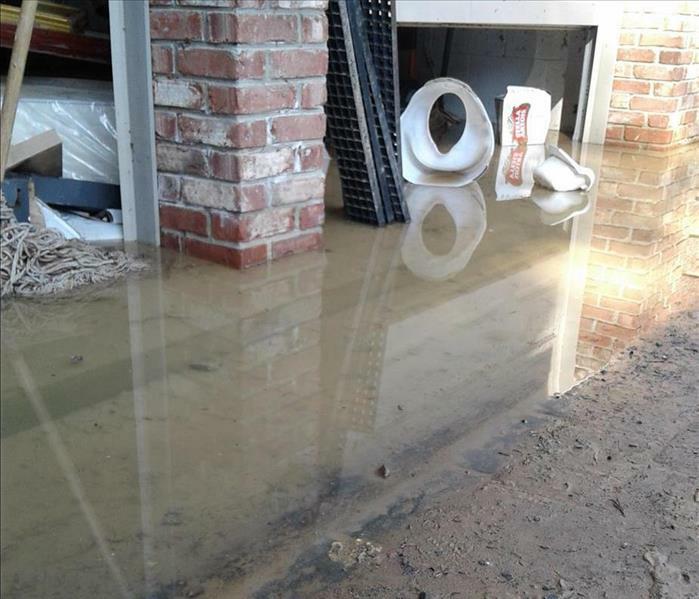 A homeowner in Berkeley Heights, NJ called us after their basement had flooded. Notice how much the water climbed up the cardboard boxes. This was due to the large amount of water. 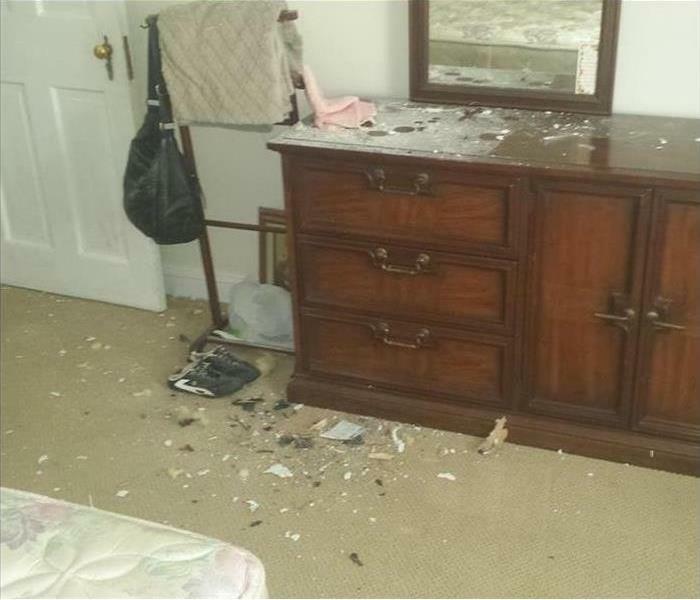 The homeowner was relieved when we were able to clean it all up. After a storm knocked down a tree in Rockaway, NJ, this homeowner experienced some issues. As you can see in the picture, the tree fell on the roof and produced debris inside their home. After a storm rolled through Fort Lee, NJ, this homeowner called us because of the water and debris that resulted. This is not uncommon after a storm and we are fully equipped to deal with situations like these. A homeowner in Morristown, NJ called us after they had experienced a fire. We got our crew out there and found out upon arrival that the fire was caused by garbage. Luckily, it did not look like this for long. An office manager called us when they suspected mold growing in their bathroom. Once we got there, we were able to see that this mold was the result of a leaking pipe. A homeowner called us after they experienced a grease fire in their home in Clifton, NJ. 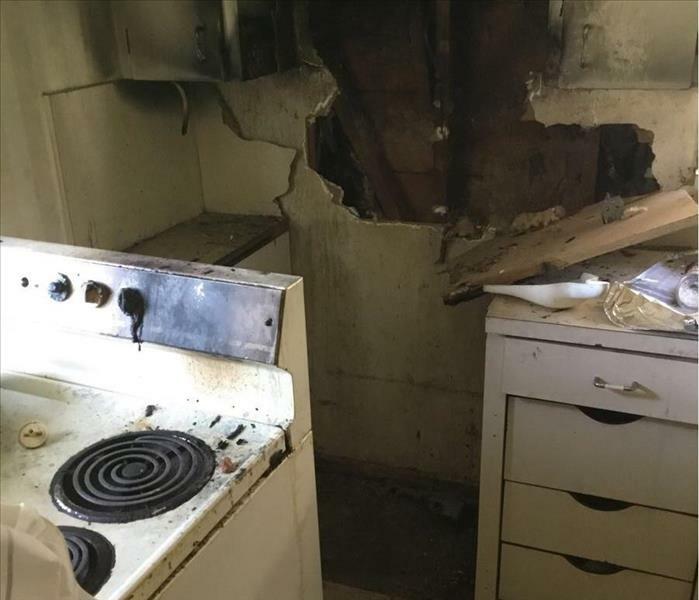 In the picture, you are able to see how the fire traveled from the stove top and up the wall. 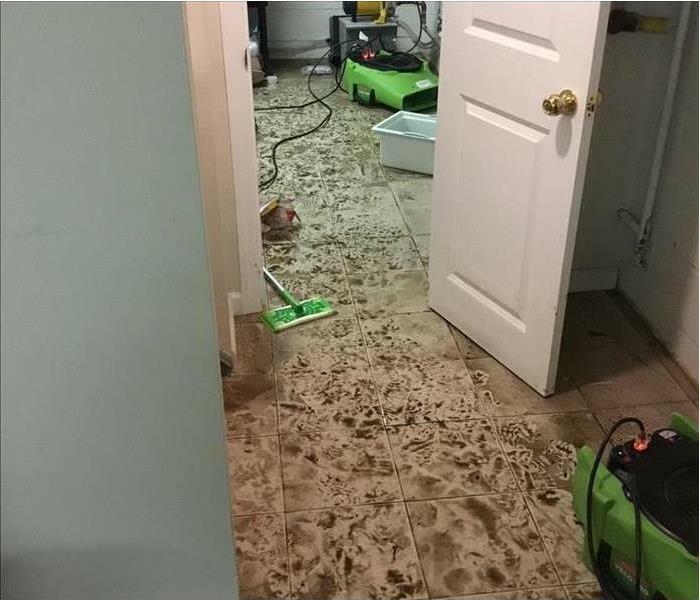 After a homeowner called us to clean up a flood in their basement, we had a crew out their immediately. 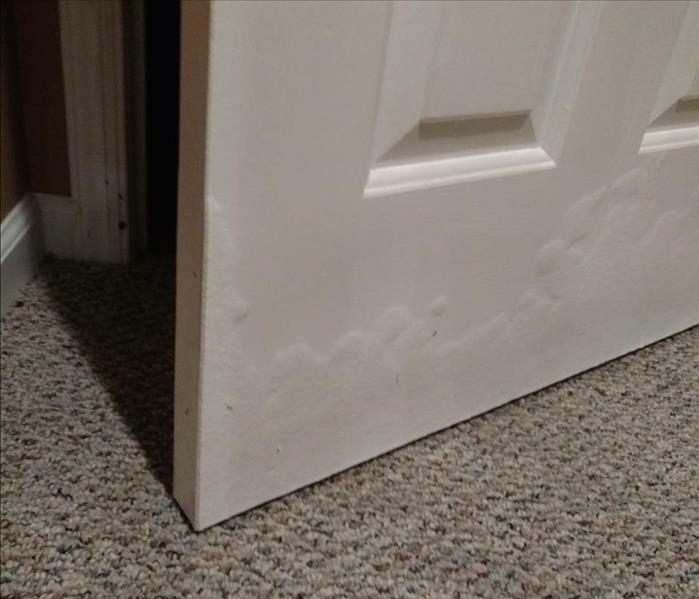 This is a picture of one of the doors that was warped as a result of so much water in the basement! 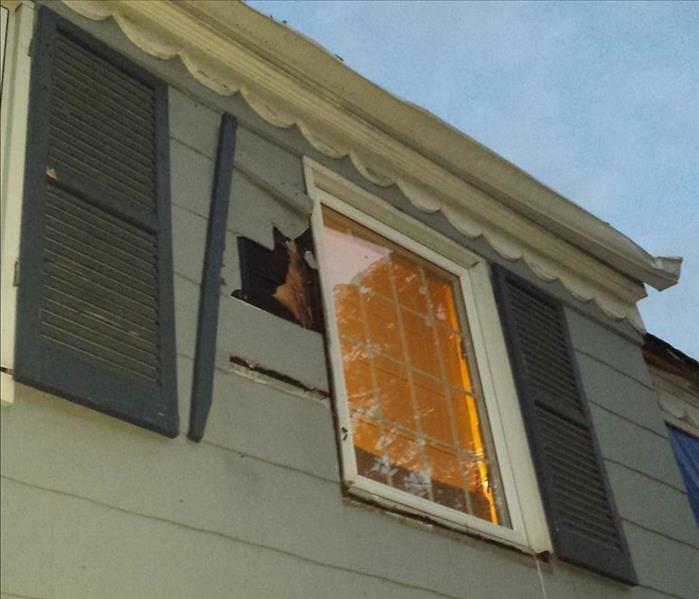 A house in Rockaway, NJ suffered from some damage after a tree fell and hit their home. This damage produced some debris and water. The homeowner then decided to give us a call. After a thunderstorm rolled through Palisades Park, this homeowner called us due to some flooding in their garage. In the picture, notice how deep and the amount of water there is in. Luckily, our crew is equipped to handle flooding and water damage, so the homeowner was able to get their garage back in no time! After a storm, this homeowner called us to explain that their toilet had backed up. 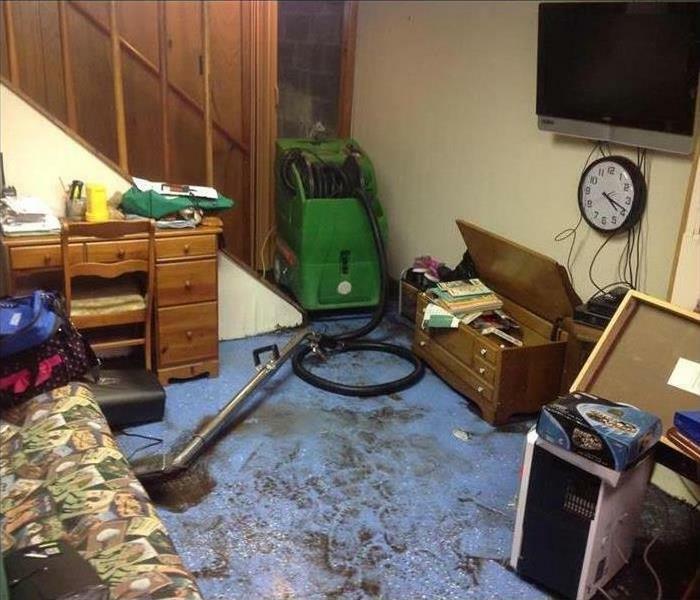 The sewage and water flooded their basement as a result. Luckily, our crew was able to clean the water and sewage and leave no trace of an issue! 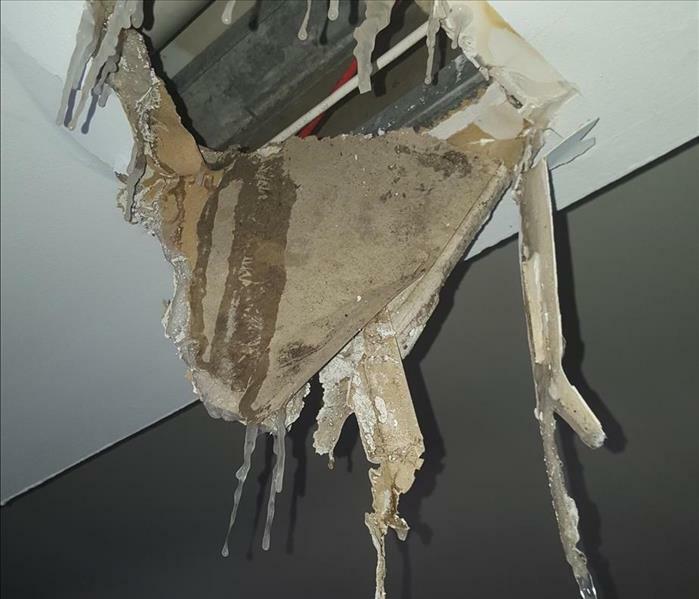 A homeowner in Cliffside Park, NJ gave us a call after they experienced a pipe burst in their home. Notice how the water caused a hole in the ceiling and then the water froze! However, we were able to help this homeowner and they were surprised with how quick we got the job done! 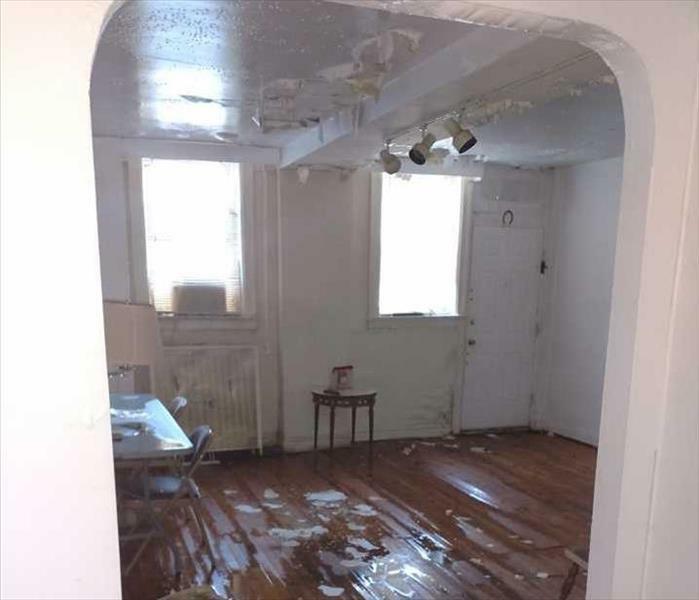 When the owner of a condominium in Jersey City, NJ experienced a flood, they gave us a call. Notice how the water affected both the ceiling and the floors beneath it. The owner was thrilled that we were able to help them get it cleaned up so quick! After a pipe for a laundry machine burst on the second floor of this home in Westfield, NJ, the homeowner gave us a call. The water from the second floor not only affected the second floor, but the first floor as well. 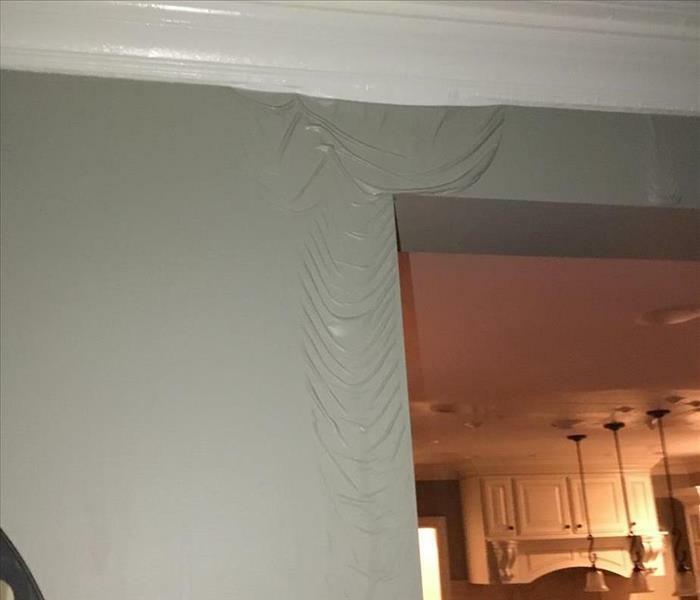 In the picture, you can see how the water affected the wallpaper and caused it to crumple and move. This was the cause of a house fire in Edgewater, NJ. Notice how the flames started at the outlet and spread up the walls. 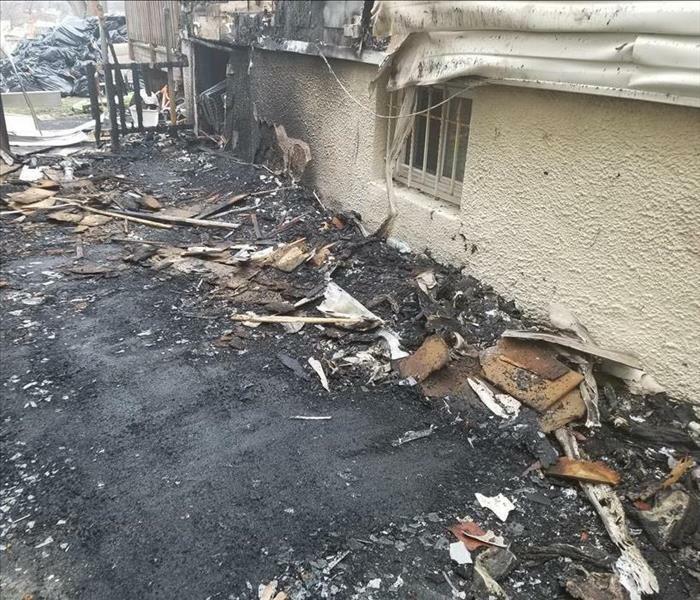 Also notice the extent of the damage by the fire, smoke, and soot that was left behind after the fire. 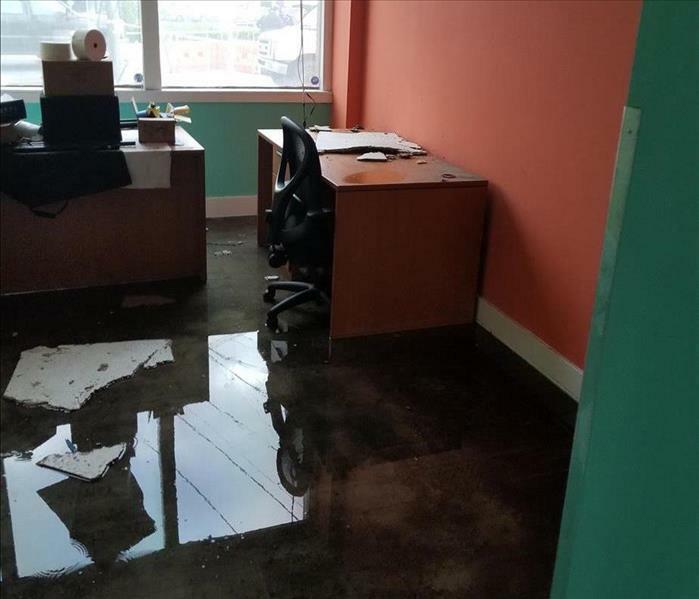 After a flood in an office in Teterboro, NJ, the office manager gave us a call. Notice the significant amount of water that they had. We were able to get them cleaned up and back to business in no time! 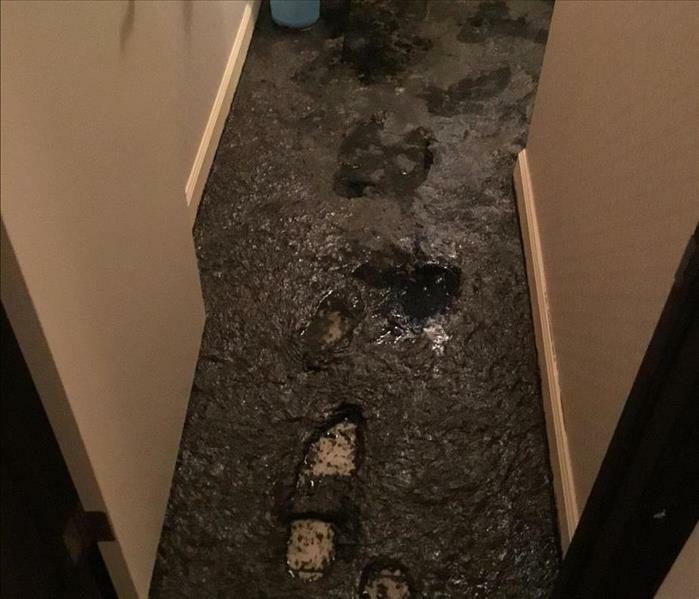 A homeowner called us frantically after their toilet had backed up and flooded their basement. They were surprised that we were able to handle not only the flooding but the sewage as well! After a storm, we often receive calls about water and debris affecting a home owner's basement. This particular customer was concerned about the extent of the damage. However, she was surprised with how quickly and efficiently we were able to clean up the debris and water and get their basement back! A homeowner in Fanwood, NJ gave us a call after they experienced a house fire. 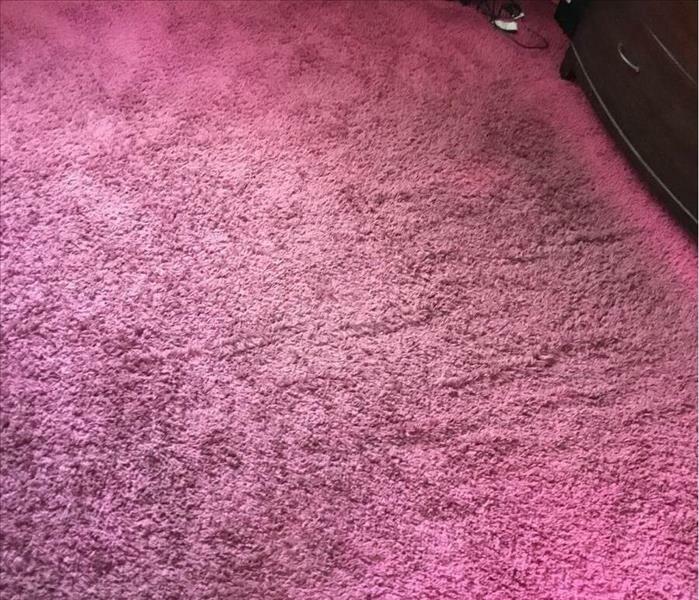 In the picture, you can see the significant smoke and soot damage on the carpet. 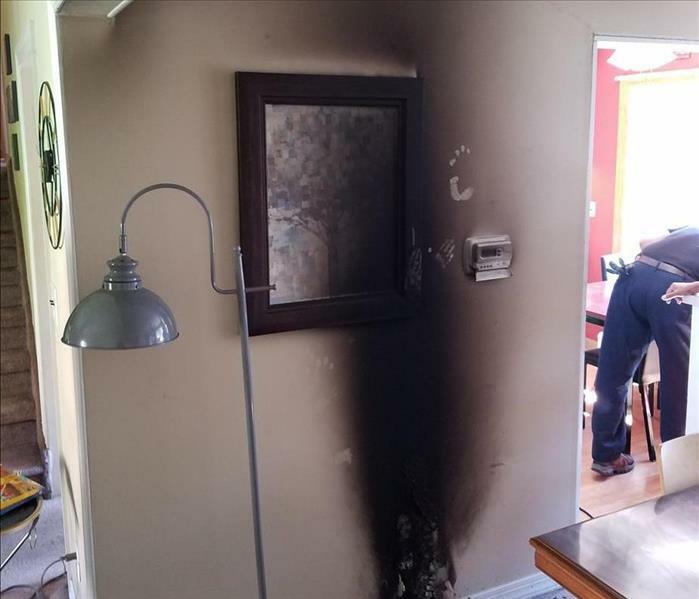 The owner was completely shocked that we were able to get their carpet cleaner than it was before the fire! Often times, we have to deal with things such as toilet or sewage back up. 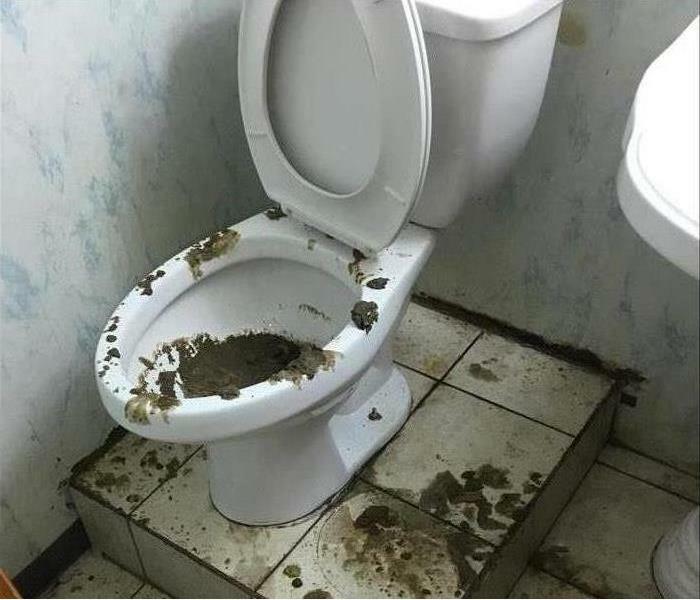 Take a look at this toilet that backed up in Edgewater, NJ. Fortunately, we have the right equipment and crew to take care of those kinds of situations! A high school in Cliffside Park, NJ gave us a call after they experienced a fire. A majority of their school was affected by this. 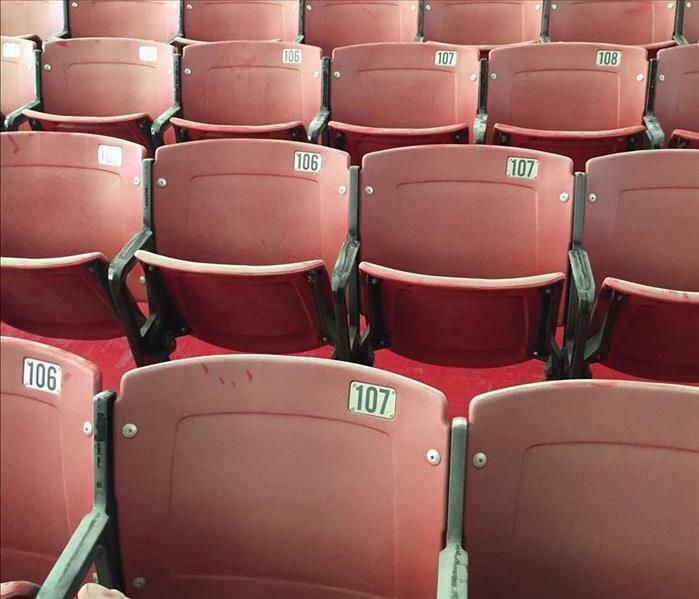 Notice the amount of soot that built up on the seats in the picture. We were able to clean all of the soot buildup and restore the high school so they could be back up and running in no time. 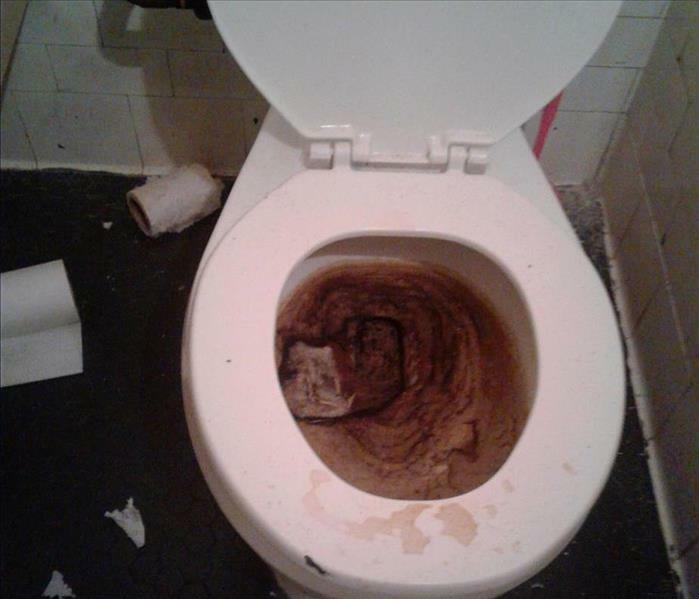 A market in East Rutherford, NJ gave us a call when they experienced a sewage backup in one of their bathrooms. They were extremely surprised at how quick we got it cleaned up and how there was no odor left behind! This was the aftermath of a fire in Morristown, NJ. There was a significant amount of damage and debris left behind. However, once our crew got to it, it looked "Like it never even happened." 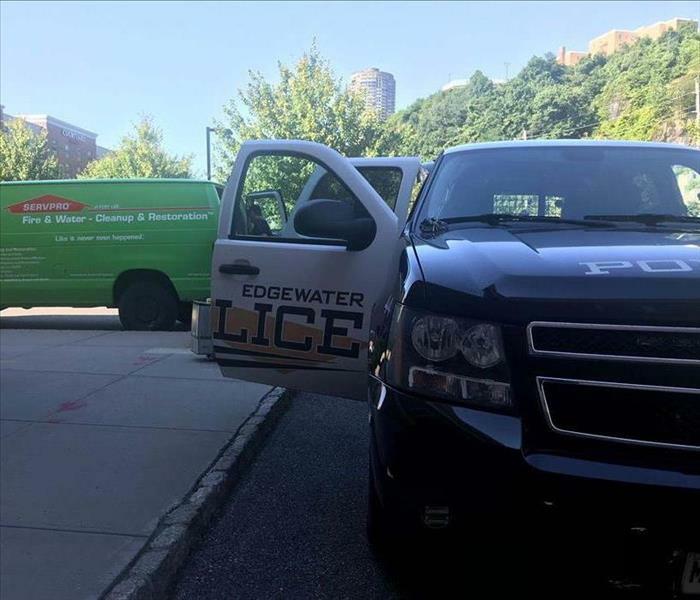 The Edgewater Police department gave us a call after they had a biohazard issue in one of their police cars. They were thrilled with the results and were surprised how quickly we made it look "Like it never even happened." 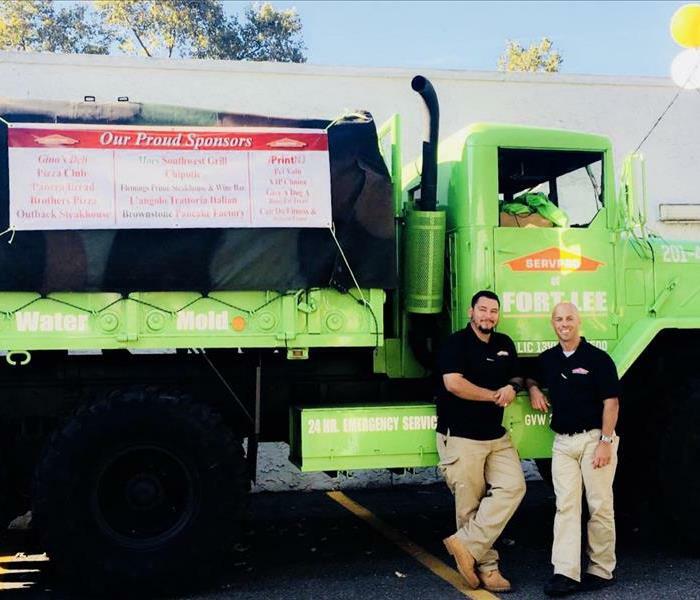 SERVPRO of Fort Lee loves being involved in community events, especially when we get to show off the Big Rig. We were so happy when we were able to drive our truck through the Ridgefield Fourth of July Parade! SERVPRO of Fort Lee County Celebrates a Birthday! Here at SERVPRO of Fort Lee, we always like to show our appreciation for one another. 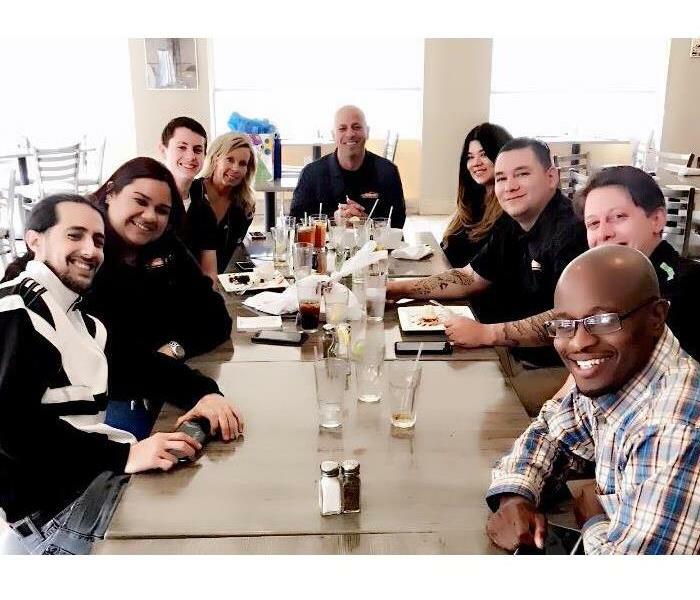 Whether it be buying a coworker coffee or throwing a surprise birthday lunch, we always show our gratitude for each other in one way or another! Our Annual Pet Adoption Day! 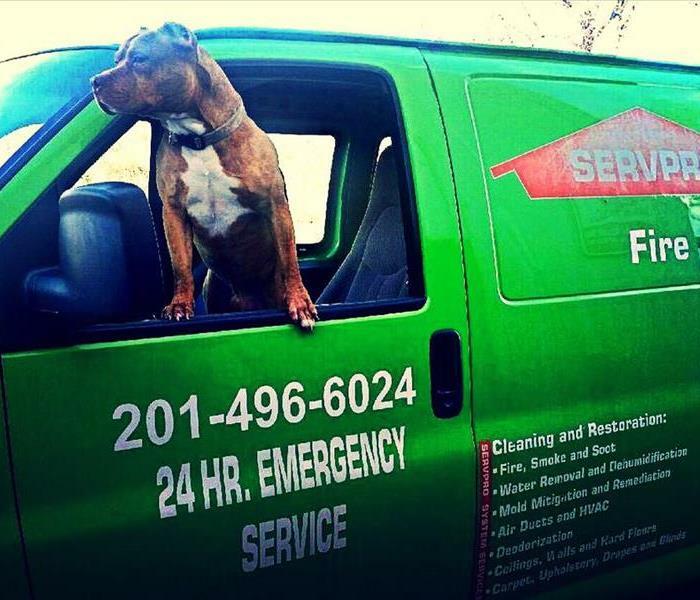 Each year SERVPRO of Fort Lee hosts a Pet Adoption Day! At this event, we assist local shelters in finding homes for animals in need. It's a day we look forward to all year! A Special Visitor at SERVPRO of Fort Lee! Some days we have special visitors at SERVPRO of Fort Lee. We especially love when Nala comes to visit! 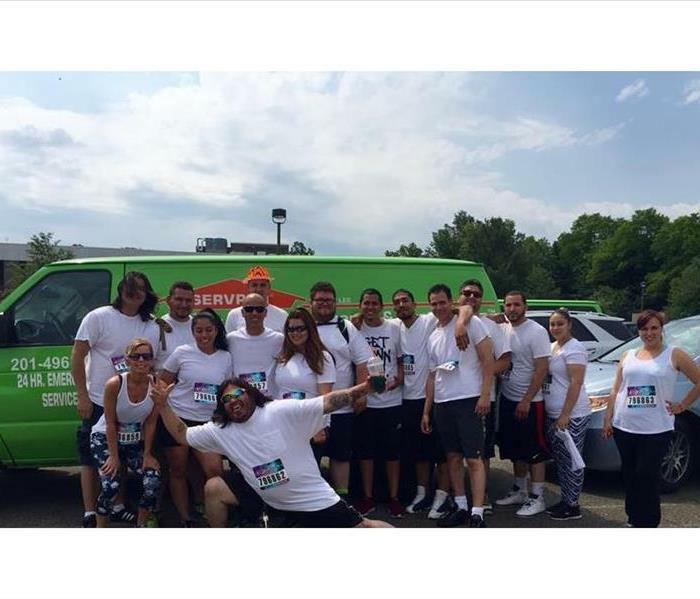 SERVPRO of Fort Lee Takes on Color Run! Here at SERVPRO of Fort Lee, we value our time together outside the workplace just as much as we do inside. We also understand the importance of getting involved within the community. We are always attending events as a team and always having fun! A BIG Addition to our SERVPRO of Fort Lee! We have added an old military-grade truck to our fleet. This truck is almost always at events we sponsor and has become a staple in our community. 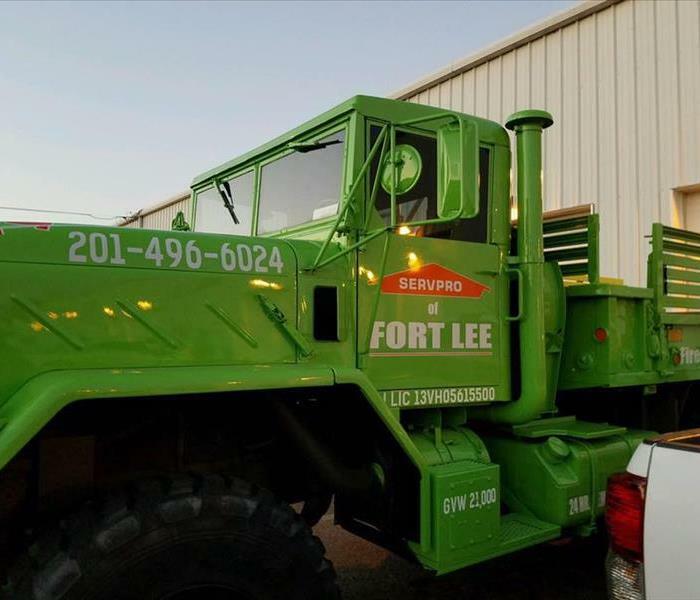 When people see the Big Rig, they know SERVPRO of Fort Lee is here!